Interview with Nelson Pass tomorrow! As you may know, I moderate some of the Reddit DIY communities. I am absolutely stoked about the social media interview/discussion we organized with Papa Pass tomorrow. You can watch for the intro post here. Once posted, everyone’s questions will be welcome (Mr. Pass will get to as many as possible). Edit @ 7/19/18: Here’s the link to the discussion! Bob Katz has been writing a series of articles over at InnerFidelity for several years and they’ve recently taken a turn down a more experimental path. His most recent article details a device that mixes a transparent solid state signal and a Nuvistor signal biased to provide a distortion spectrum with just a small percentage of second harmonic. Check out his write up here! 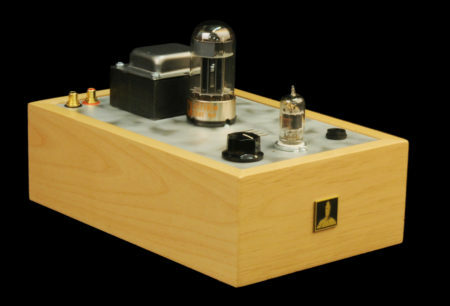 A Nuvistor is a small metal and ceramic tube released by RCA just as transistors began supplanting vacuum tube technology in most electronics. They are a true vacuum tube with familiar triode operation and characteristics and an indirectly heated cathode. The most common Nuvistor in consumer electronics was the 6CW4 (high Mu) though there are several triode flavors and even a couple of tetrodes. Because they were originally intended for radio and TV usage, Nuvistors enjoy very good bandwidth, low noise, and high gain (high Mu variants). The metal envelope is integrated with the basing and the tube plugs into what RCA dubbed the Twelvar base. You can probably guess how many pins that had. With the Nuvistor, RCA also introduced the RCA Dark Heater, a lower temperature filament that guaranteed higher stability and less AC leakage. Despite this innovation, most Nuvistor heaters require around 1W to light (e.g. 150mA @ 6.3V). With a modest Mu, low plate resistance, and very low B+, it’s no wonder Bob decided to marry this interesting tube to a solid state partner for his Blender. The 8056 heater requires 6.3V at 135mA. At this voltage and heater requirement, it’s close to being practical for modern portable devices. In their heyday Nuvistors were used in battery-powered and efficiency-critical applications like the US Space Program and military radios and communications equipment. Would I ever build something with Nuvistors? It’s tough to say. 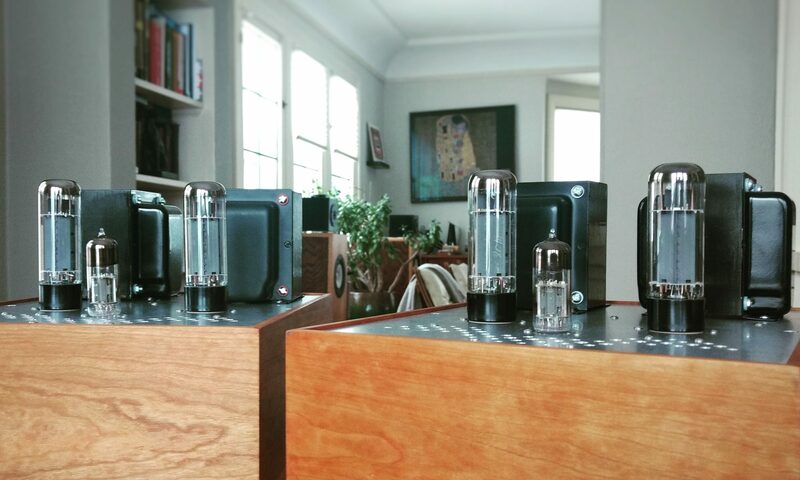 I’ve been on a casual hunt for tubes that might be suitable in a portable battery-powered application. Other candidates are the Korg Nutube or the sub-mini 6088. Like all things in this hobby, there are trade-offs. The Nuvistor 8056 heaters are hungry relative to these other options, but the other characteristics are very attractive. In all likelihood, I’ll try them all eventually. This is why I DIY. The bones of a new project write-up are posted! This is for a ~2W EL84 SET amplifier. the amp is a modest project in cost and complexity, but I tried to make this write-up more in-depth than usual. Hopefully it’s a good glimpse into single-ended amps and general tube design for some aspiring hobbyists out there. Like many audio enthusiasts, I have a general philosophy for audio that guides me when designing (or shopping for) new gear. In a nutshell, I value an objective and empirical approach to design, but this is tempered by the notion that music is art. At its core, art appreciation is a subjective, and often situational, experience. Objective design for subjective ends reads like a paradox; designers have egos too and so maybe conflict between engineering and ‘the feels’ is inescapable. If you’ve been on audio forums or blogs long enough, you know that objectivity and subjectivity do not usually mix in the audiophile hobby. I’ll steer clear of that morass, save to add one recently encountered perspective. 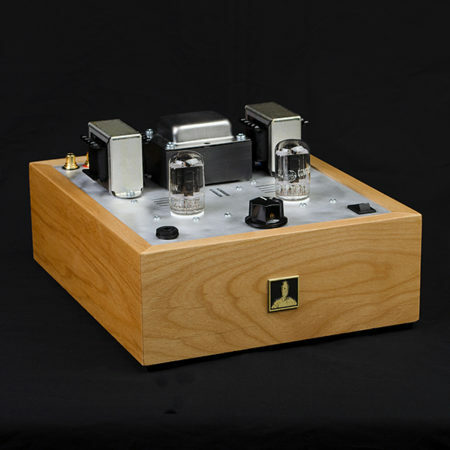 Last weekend I delivered a preamp (design write-up on the way) to its new owner, J. We spent a couple of hours listening to his system with and without the new piece. J’s system is different than mine and the music it makes sounds different, too (including recordings I know). We both had fun going through albums and cranking up the tunes. In a way, it was a little like seeing a favorite group perform live. You know the music but can appreciate fresh nuance all the same. That we got to do so together, on a social level, only added to the enjoyment. Now what if we were all uncompromising in our objectivity? What if all systems and designers pursued the same goal and weighed compromises equally? Worse yet, what if compromises did not have to be made and all playback was “perfect?” While I know this is ostensibly what many of us seek in the audiophile hobby, where would it leave the hobby on a social and experiential level? I would visit J and hear the same songs in the same way that I always do. The art in music is not a one-way street. The lenses and filters we use to experience and share art enrich both the art itself and culture as a whole. The process of internalization, expression, and rebirth keeps music relevant and vital. I’m off into abstraction, but there is a kernel of truth for audio here, too: how terrible the tyranny of ‘exactly as the artist intended’ could be if we took it too literally. You are the artist of your listening, the world is your mixing console, seek out new stereos, and all that jazz.